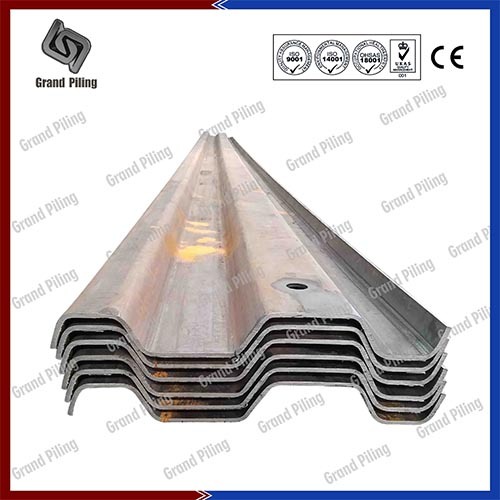 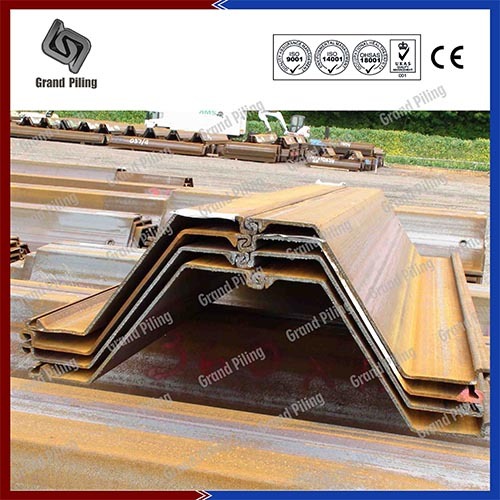 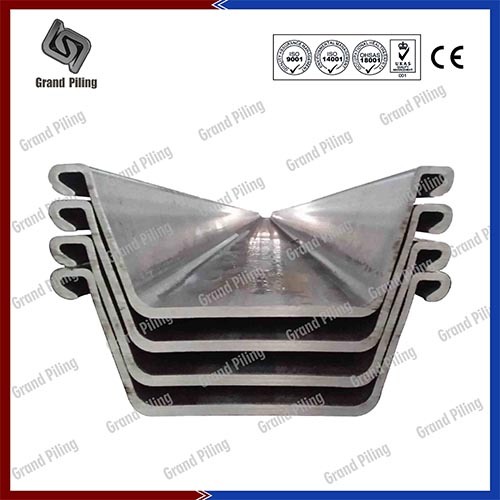 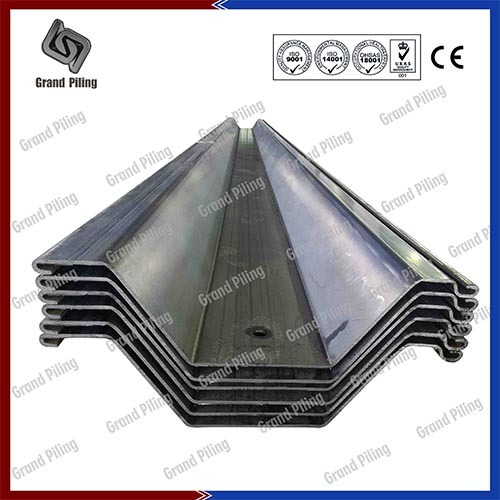 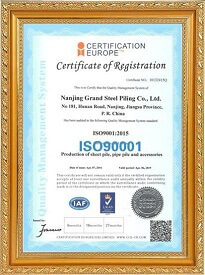 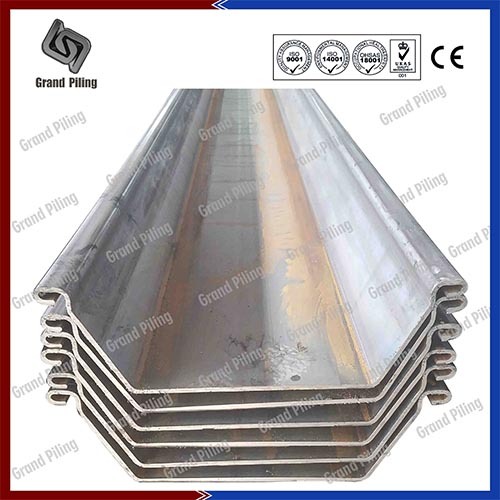 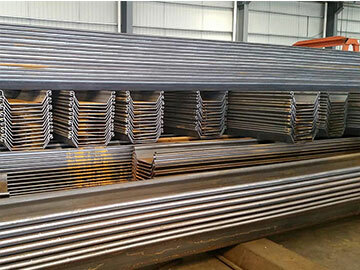 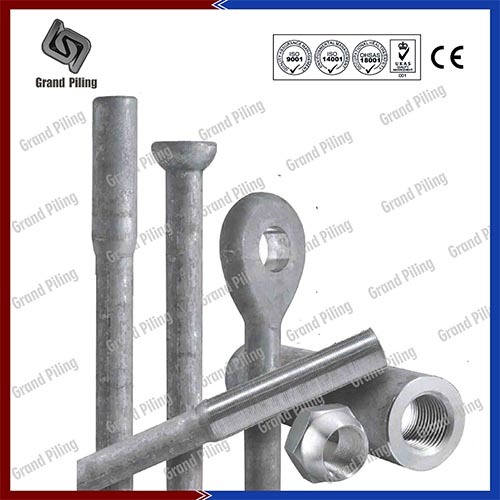 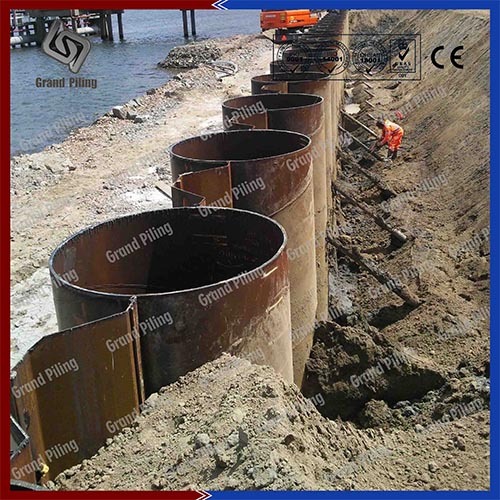 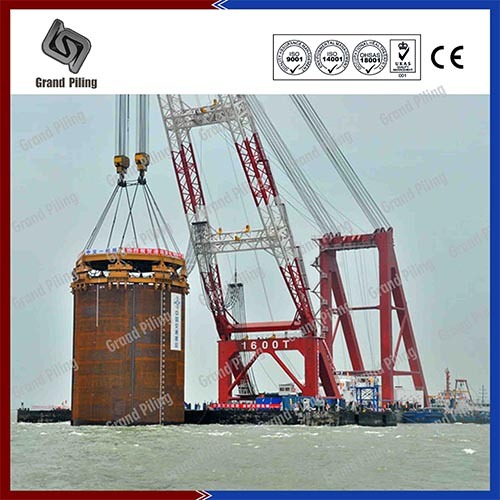 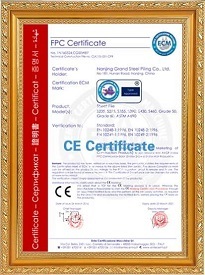 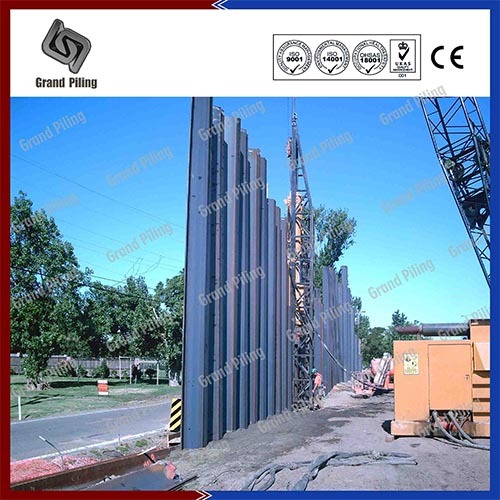 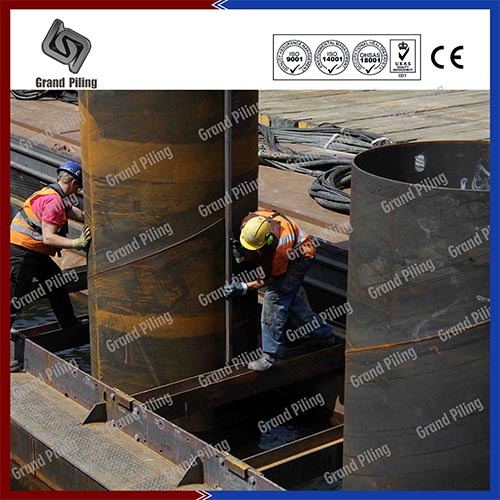 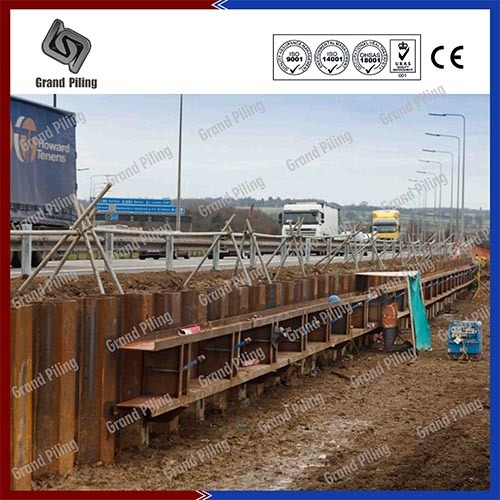 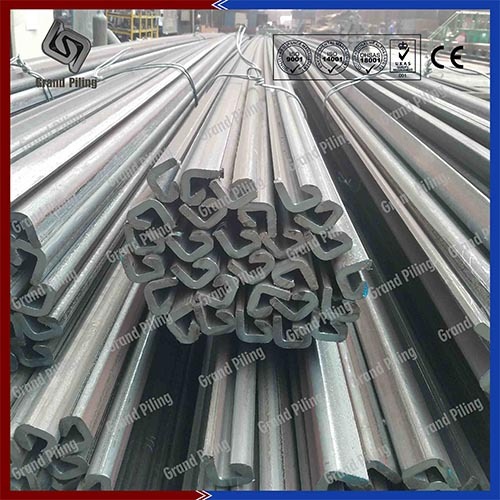 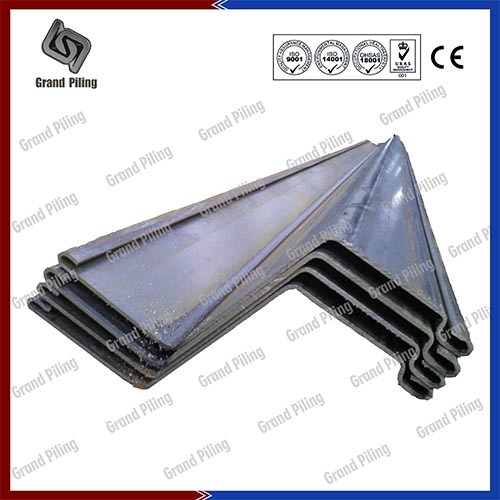 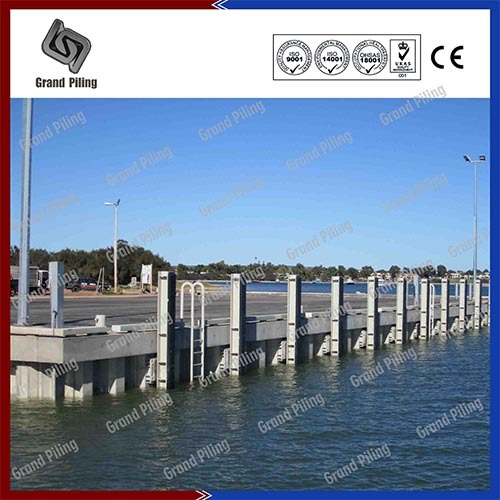 Nanjing Grand Steel Piling Co.,Ltd is the main steel sheet piling manufacturerin the world market,have exported into over 180 different countries. 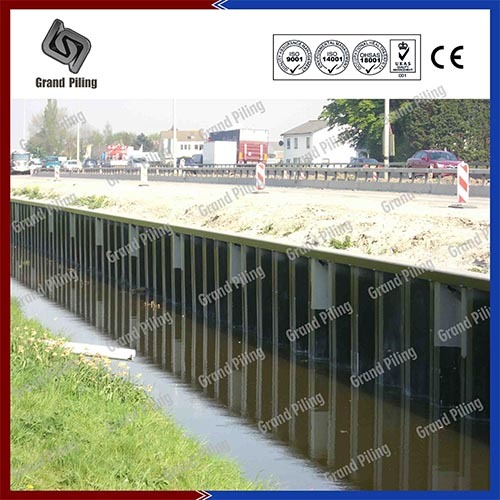 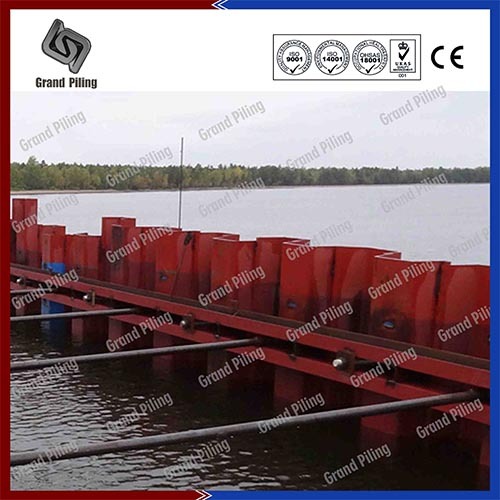 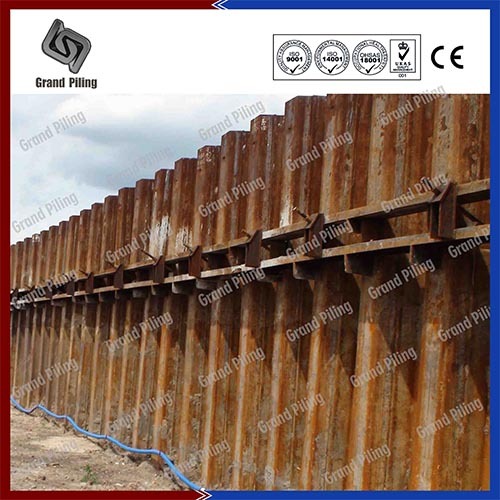 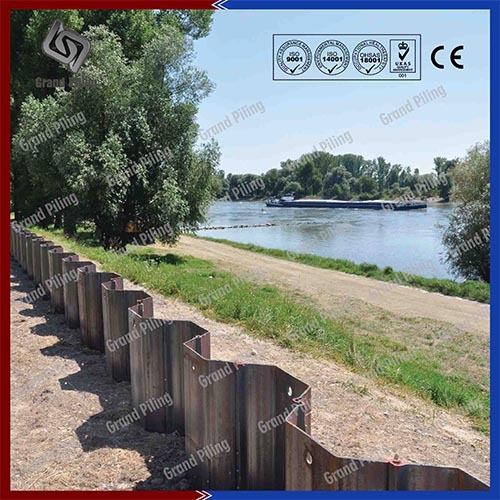 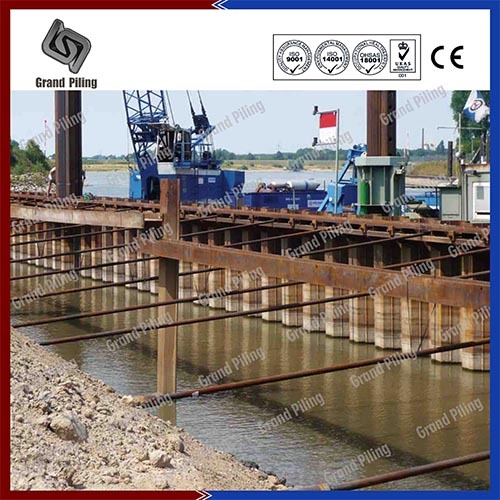 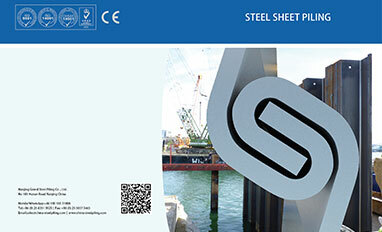 We are also the biggest sheet pile manufacturer in China. 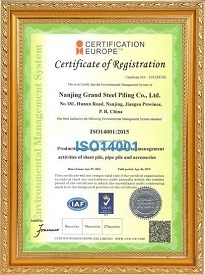 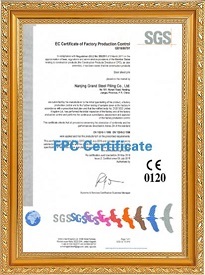 We drafted the China National sheet piling standard and we produced the first sheet piling in China. 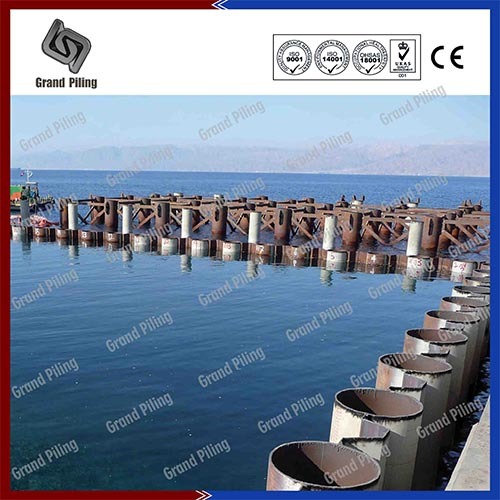 We are producing all types of sheet piles,pipe piles,combined walls(HZ combined wall) and tubular combined wall),tie rods and all sheet piling accessories. 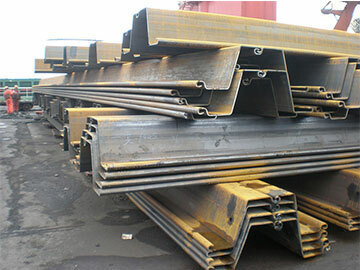 We can also do painting,corner piles and other fabrications in our factory. 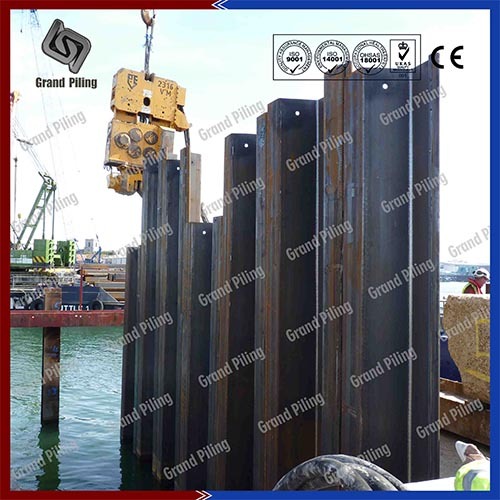 - We shipped over 40,000 tons sheet piles into Indonesia in 2016. 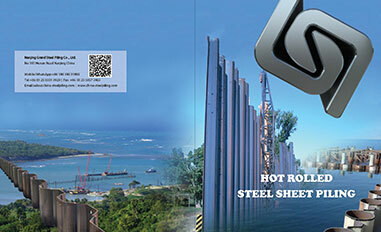 - 21,000 tons tubular sheet pile shipped to Manzanillo port,Mexico. 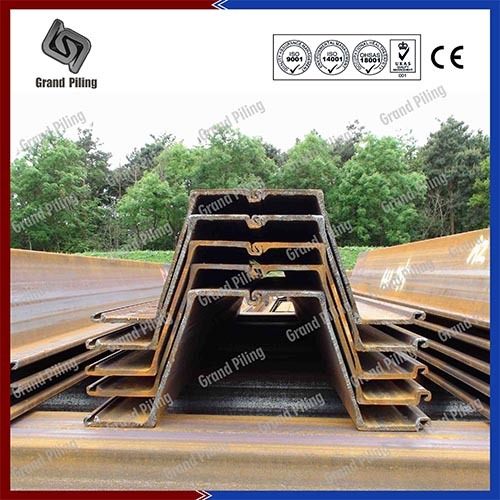 - 80,000 tons sheet piles in stock for immediate delivery. 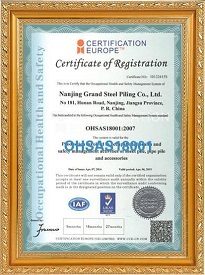 - We have exported into over 180 different countries. 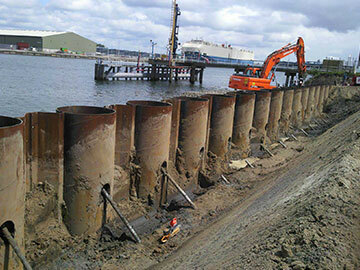 - Where do sheet piling combined walls can be used? 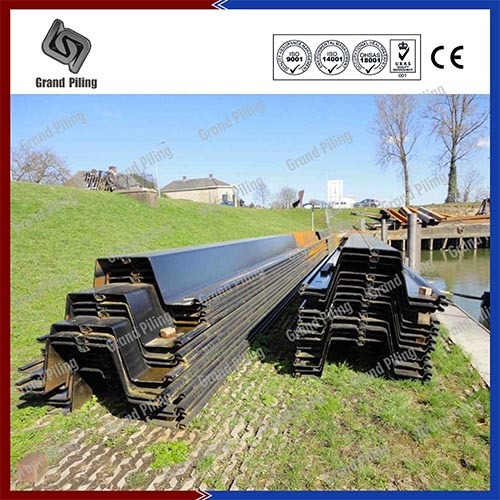 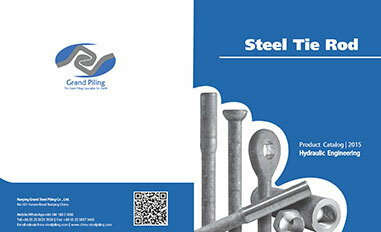 - What are sheet piling accessory products? 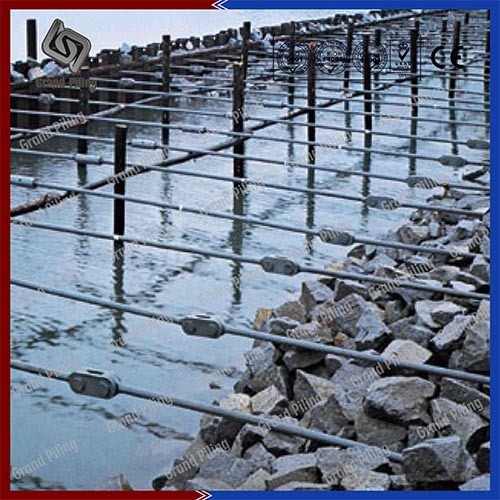 Tie rod productions,Steel tie rod applications,Marine tie rod accessories,Classifications,steel grade,anti-corrosion protection,wailings,projects.